You are here: Home » The All-New Women’s League App – Updated for 2018! The All-New Women’s League App – Updated for 2018! 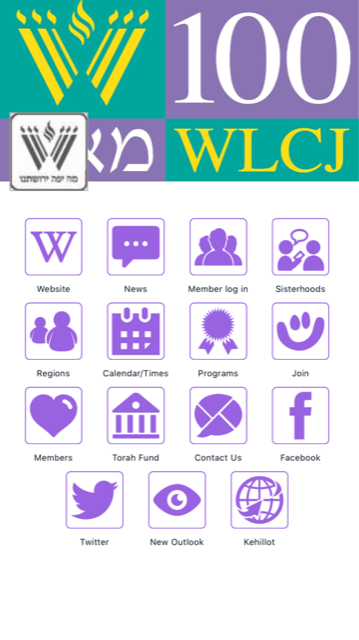 Now you can easily connect to Women’s League anytime and anywhere – right on your smart phone or tablet! The Women’s League App makes access to Women’s League effortless. Missed Weekly Words of Torah by Rabbi Ellen S. Wolintz-Fields? Tap on “News” for all real-time updates! Do you need programming ideas? Are you looking for membership documents? Do you need to order materials? Are you looking for conference information? Do you want to see photos from Women’s League events? Just tap the app and you’ll find it all! For all devices: You will need to go to the Member Log in button to use Member Pages and Resources. Be sure to allow push notifications so that we can send you important and timely information.